Here’s an overview of what you need to know about roofing permits! You may know that you need a permit if you build a new home or add on to the one you have, but you may not be clear on when you need a permit for remodeling work. Do you need a permit for a new roof installation? What about repairing the roof you have? Generally, your roofer will get the roofing permit on your behalf. Your Phoenix roofer knows exactly what kind of permit is needed for the work and exactly how to get one. The cost of getting the permit will be included in the estimate for your new roof installation or expansion. If you are performing the work yourself, you will be responsible for getting your own permit. However, your work will still have to be inspected. Working with a roofer makes the whole process a lot easier. The cost of a roofing permit will vary according to the city or county where you live in Arizona. The cost can range from as little as $100 to as much as several hundred dollars. The fee is due when you apply for the permit. Your roofer will include this fee in your estimate. Again, the exact requirements vary by municipality, but you generally need a permit when you are planning any structural change to your home. You will need a permit when you are replacing the old roofing material with a different material, such as swapping out asphalt shingle for concrete tile. The reason is that the new material may require different structural support. An engineering analysis may also be required to determine that the roof can withstand the additional weight of the new roofing material. You will also need a roofing permit even if you are using the same material. You’ll need a permit if there will be more than two layers of that material, such as when you lay asphalt shingle over old shingle. If there are already two layers of shingle there, you are going to need a permit. You will also need separate permits for electric or plumbing work. Therefore, if you are installing solar panels or need to reroute electrical wiring, you are going to need a separate permit. 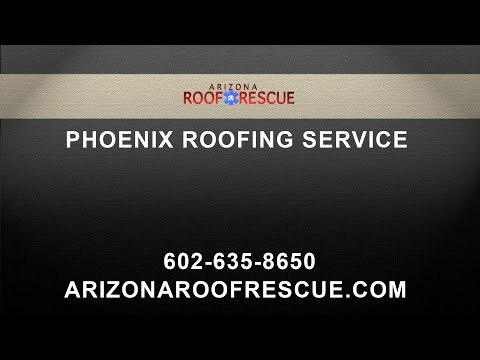 Arizona Roof Rescue has been performing new roof installation and re-roofing across the state for many years. We understand the local building requirements for permits, and your roofer will be able to handle all the applications and fees on your behalf. When you work with us, you can rest easy knowing that you are not only getting a quality roof installed with the highest level of workmanship, but also that all the legal requirements are being taken care of for you. Call us today to talk about your new roofing options.